Merle Haggard: No Pot For You! 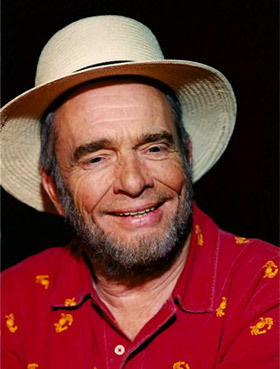 Though he made fun of pot smokers on 1969 hit “Okie From Muskogee,” Merle Haggard is a big fan of the green stuff. (Then again, who isn’t?) In fact, he used to like to loosen up before shows with some serious pre-concert toking. (Then again, who doesn’t?) But now that the 71-year-old country giant is recovering from lung-cancer surgery in November, he’s facing the prospect of having to take the stage pot-free. (That means more marijuana for Willie Nelson.) But since Haggard—who made a nice little comeback several years ago with two records on the Anti- label (Nick Cave, Neko Case, Tom Waits)—is a professional, he was up to the task, playing shows in his hometown of Bakersfield, Calif., last Friday and Saturday, sans ganja. We’re really proud of him. Now, what do you think it would take for Robert Pollard to do a show without consuming beer?